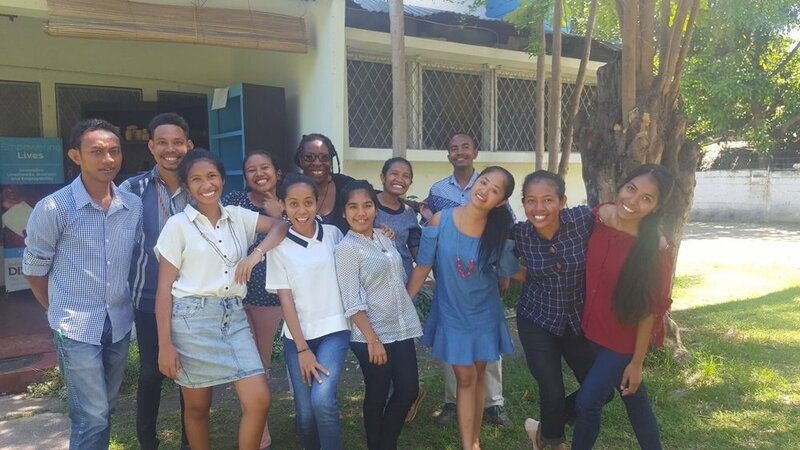 I had not consciously chosen to visit Timor Loro Sa ‘E (Timor Leste in Portuguese and East Timor in English) but I am here visiting Empreza Di’ak who are our partners on the job shadowing element of a 20 month Erasmus+ PatHERways International project on young women’s political participation which seven different countries and is led by ECOS in Portugal. 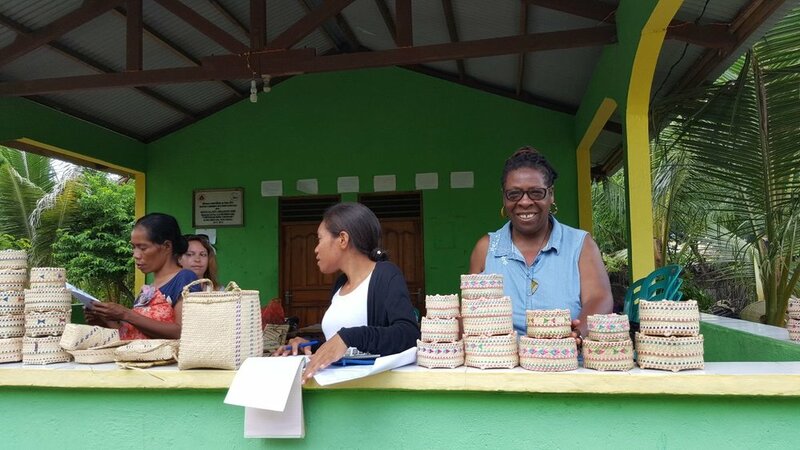 Empreza Di’ak (Good Business) started in 2010 and offers business support training and start up resources such as sewing equipment and materials, snacks and other items for sale in small kiosks, to women. Their primary aim of the work is to help promote livelihoods and economic wellbeing through business development. Some of the women live in shelters after experiencing domestic abuse and I was able to visit some of these projects. Timor Leste is the world’s youngest democracy – just 16 years old. It is emerging after twenty-four years of repression by Indonesia during which reportedly more than 200,000 Timorese died of famine, disease and fighting. Dili. (the capital), consists of several old, unpainted, unfinished and sometimes bombed out derelict buildings (reminders of the conflict), which appear to sit cheek by jowl with new palatial houses, shopping plazas, small parades of shops and other businesses and the West Union office. The $US dollar is the national currency– I was surprised at not being able to change GBP’s even at the Central Bank – hence having to find the Western Union office! The newest largest shopping mall is Timor Plaza, the home to ice cream parlours, smart shops, a Skyline restaurant and suite of Dolby sound cinemas where I saw Black Panther film last weekend before most of my friends and family in the UK and USA (great film by the way!). However, at $US8 per person, it is unlikely to be accessible to the majority of people who earn an average monthly salary of $100 - $150 per person. Even though I have never visited Timor Leste before, I feel as though I am in a very familiar place. The capital, Dili, holds vestiges of sleepy Georgetown, Guyana, South America circa mid 1980’s. At the time of my living there, Guyana appeared to be on the cusp of an awakening, presenting as fertile ground for ‘development opportunities’. 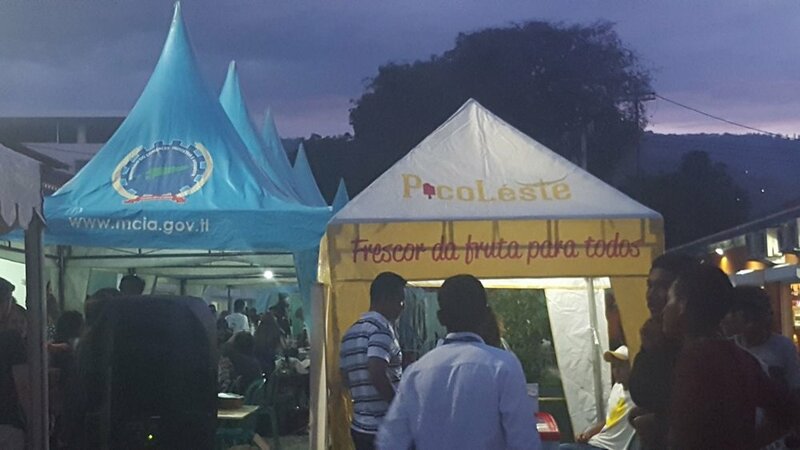 I notice the community of international professionals – volunteers and paid staff (at the night market) as well as private investors from Malaysia, Korea and China all contributing to the development of Timor Leste. I am also referred as a ‘malae’, by Timorese. It is the Tetun (the main local language) word for ‘foreigner’. The Oxfam and other international development sexual abuse scandals which unfolded whilst here, leaves me feeling deeply disturbed and highly reflective on how I am perceived as a Black professional when in Africa, the Caribbean, New Zealand and now Timor Leste. 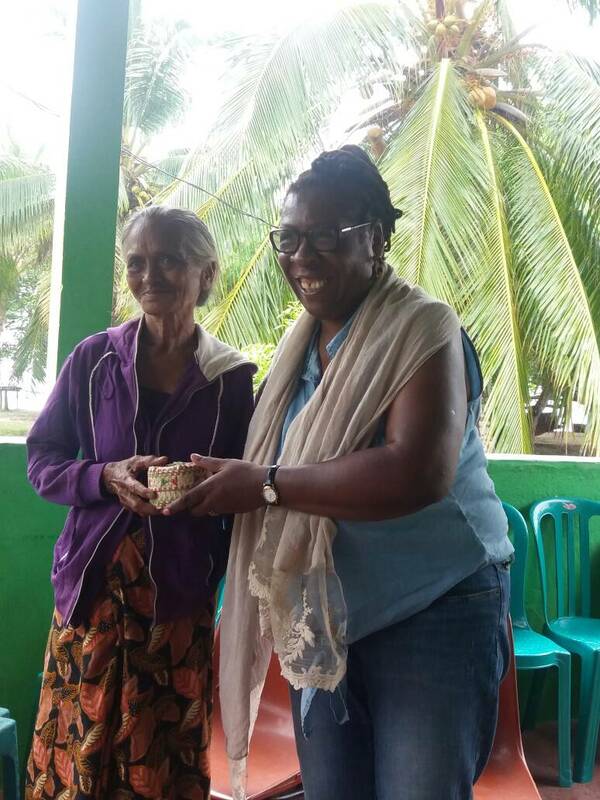 During my first week I spent 4 nights on the island of Atauro some 30 miles from Timor Leste and a sub district of Dili, to see Empreza Di’ak’s community based work first hand. I visited 4 remote sukus (villages) by boat and truck with staff (Maun Jose and Manna Martin) from their centre base in Beloi. They were making their monthly trip to purchase woven crafts and wooden sculptures. I was gladly welcomed by villagers and being as something of an object of deep curiosity as for many people it was the first time they had seen a Black person before - although there appears to be a deep appreciation of reggae music and Bob Marley! On the way to and from Makili (one of the villages), we were greeted by a pod of more than 20 playful dolphins –one of the highlights of my first week. In my second week I shadowed the WEEM team (Women Economic Empowerment) visiting different women’s organisations which Empreza Di’ak works in partnership with – some organisations not only provide a sanctuary from domestic abuse but also help women develop their enterprise skills. Life on Atauro as well as East Timor can sometimes be a challenge. Some of the meals in sukus were very basic consisting of rice, papaya leaves and flowers - there was also a lack of electricity, fresh fruit, meat and fish. Witnessing and experiencing a much slower and more basic lifestyle has made me reflect deeply on the speed, complexity and competitiveness of my life in West. I am reminded of our felt need to fuss and fret over acquiring the latest household goods and technological gadgets and what humans really need for a quality life. I feel very privileged and deeply humbled by this Erasmus+ opportunity in Timor Loro Sa ’e and Atauro and to watch the sunrise (and sunset) in this new democracy. I had never anticipated such a deep and rich learning experience (with so many new friendships) and a profound reminder of the importance of our relational ties.